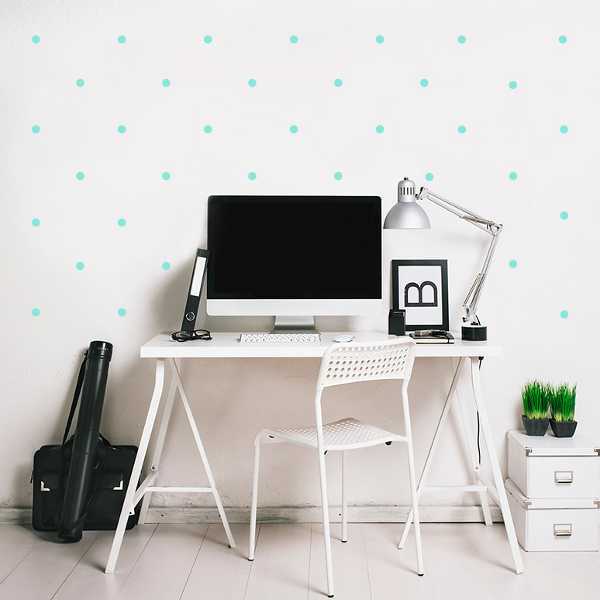 We’ve found some incredible fabric wall decals which are eco-friendly and super cute. 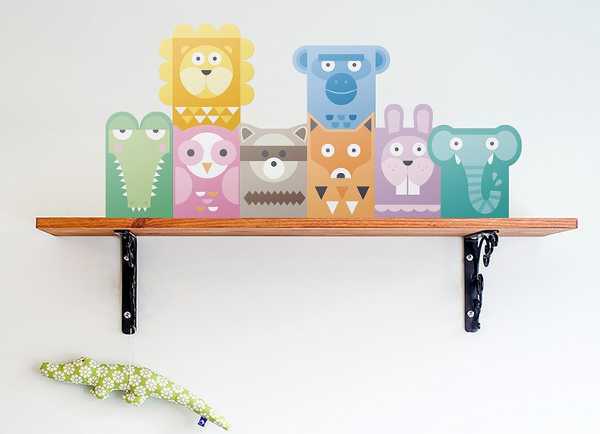 And you don’t need to stop in the nursery, this little company is making decals with big impact for the rest of the home. 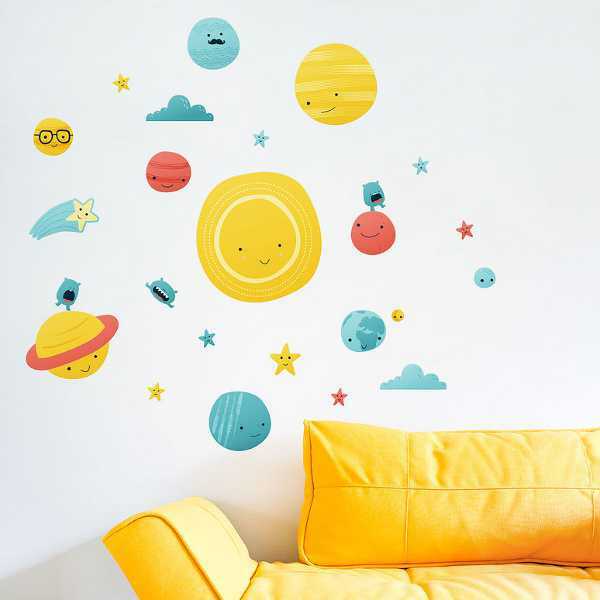 I love decals for their ability to lift a room, make it whimsical for children and the fact they’re easy to remove. 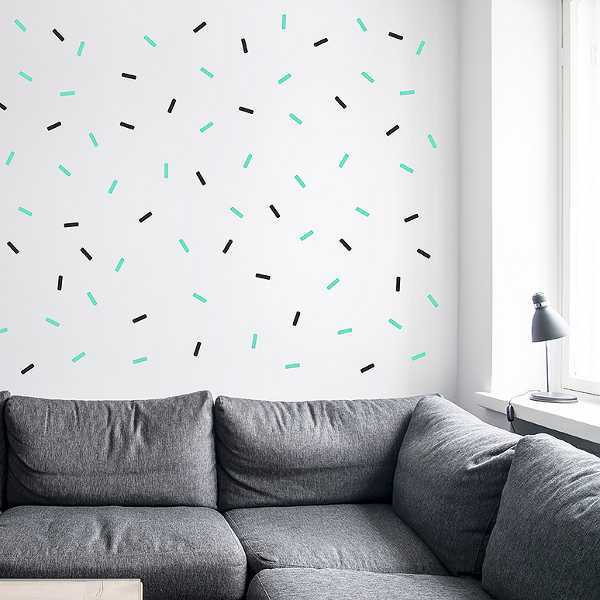 Made Of Sundays is a brilliant company from Finland which has created a range of wall decals that are pleasing on the eye and safe for the environment. Made Of Sundays has put a lot of effort into researching the perfect materials for its decals. They are made of biodegradable fabric, and don’t contain PVC or toxic chemicals. They also have a “magic” adhesive on the back which allows them to be removed and repositioned many times, without damaging walls. There are sweet and simple designs like Love, pictured at the top of the post, for €15. The Solar System is bursting with all of the planets, a bunch of stars and some grumpy aliens. It costs €48. 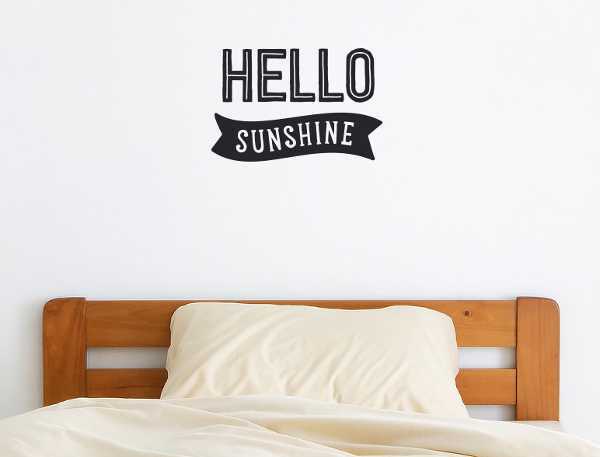 I did promise that Made Of Sundays has some great decals for the rest of the house – and if you love quotes, you’re in luck. They can also make custom decals, and ship worldwide for a flat rate of €6.